One of 47 bridges and trestles on the Creeper Trail. 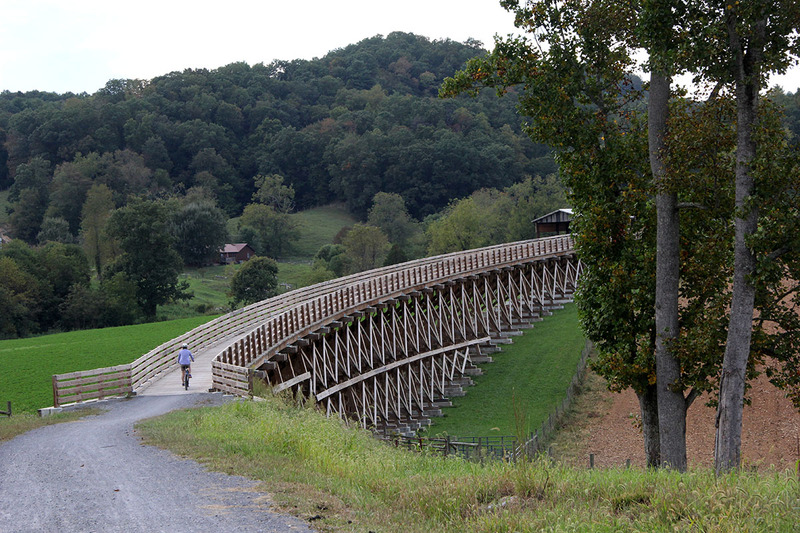 The Monticello Connectivity Practicum team studied a number of regional trail projects to find out what works and what we can learn from them. This past weekend, I was able to visit one of the best of them and experience it first-hand. After reading hundreds of reports and gushing reviews I had high expectations for the Virginia Creeper Trail. It exceeded them. The Creeper follows an old railroad right-of-way through the mountains and valleys of Southwest Virginia. Meredith and I rented bikes for the day and one-way shuttle service in Abingdon ($26 each) and rode the full 37 mostly-downhill miles back from White Top. It felt epic but attainable for someone who is active but not a cycling specialist. Shorter routes are available. The entire first half is a very easy ride and barely requires pedaling. As a result, we saw all body types, kids and seniors. The beauty is breath-taking and I was thrilled to see so many people out enjoying it. Because most people ride the same direction, there was little conflict even on a peak-usage Saturday afternoon. The right-of-way is a three-way partnership between the United States Forest Service, the Town of Damascus and the City of Abingdon. Much of the trail is on Forest Service land, but more than half of it is on private land, passing alongside (and through) villages, farms and woodlands. Trespass is not an issue: the trail design keeps you on it and there’s really no reason to leave except to patronize the businesses it passes. Passing through the landscape on a coasting bicycle is an entirely different experience than hiking or driving. The neighbors embrace the Creeper and with good reason: it is stunningly beautiful and accessible but it has also been an economic boon for them. There have been numerous research studies, which the Practicum Team reviewed in depth. We learned, for example, that the trail generates millions of dollars in economic activity and tax revenue. Damascus cannot capture all of the economic potential so tourists who use the trail often stay in surrounding cities (like Bristol). Abingdon does a better job and larger cities like Charlottesville would probably not experience this leakage. The trail is not just a tourist attraction however: it is very popular with locals. One of the cool things about the studies we read is that one of them (Bowker, Bergstrom and Gill, 2007) calculates a per-visit spend figure for local users of about $2—about the price of a cup of coffee, which sounds reasonable. I caught up with some members of a local running club during my visit and they confirmed all of this and added that numerous charities host events on the trail, which indicates philanthropic impact beyond what the studies reported (they are about a decade old). The Creeper’s positive impact is plainly visible to the most casual visitor to Abingdon and even more so in Damascus. Everywhere you look, bikes, bike shuttles, bicycles on cars. The business owners I spoke to confirmed my suspicion that their ecotourism trade is seasonal, but it is a surprisingly long season: Early March to late November. Visitors are loyal, returning periodically (Bowker, et al. also found this). It is not a spandex-clad set either: if anything, the riders I met skewed decidedly in the “casual” category. Damascus calls itself "Trailtown" with good reason. Abingdon, on the other hand, is organized around a court house, a theater and a working rail road. The Creeper was the main reason for our visit but I was pleased to see that it is by no means all the area is about--quite the contrary. Abingdon and Damascus derive their identities from many sources ranging from Danial Boone (rumored to have been trapped in a cave at the center of town) to the Crooked Road music scene. The towns do a great job of blending Nature and Culture and we could have easily spent a week there without getting bored. My conversations confirmed what the literature told me: the region gets many repeat visitors. It’s just a great place to hang out and we'll undoubtedly join that cadre. 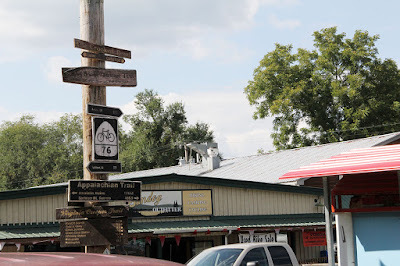 So here’s what I took away: the rave reviews and the case studies are correct: The Creeper Trail succeeds on many levels and is worth emulating. It feeds the economy and improves life for locals. I obviously loved it and kept asking myself if Little Damascus and Abingdon can pull this off, what might Charlottesville and Albemarle accomplish if we really work together? Bowker, J.M., John Bergstrom and Joshua Gill. 2007. 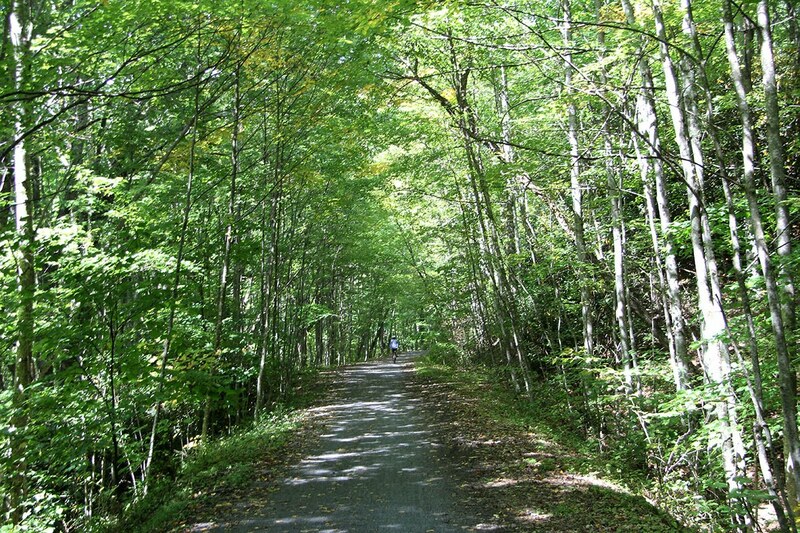 “Estimating the Economic Value and Impacts of Recreational Trails: a Case Study of the Virginia Creeper Rail Trail.” Tourism Economics. 13(2): 241-260. 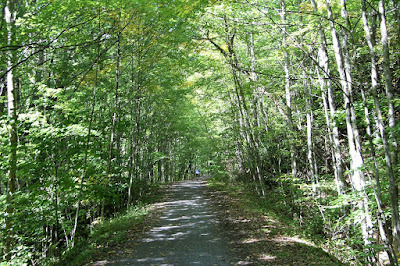 Read the Practicum's full Creeper Trail case study here.